In February 2012, Proctor & Gamble launched a massive, multimillion dollar campaign for its latest product: Tide laundry detergent pods. 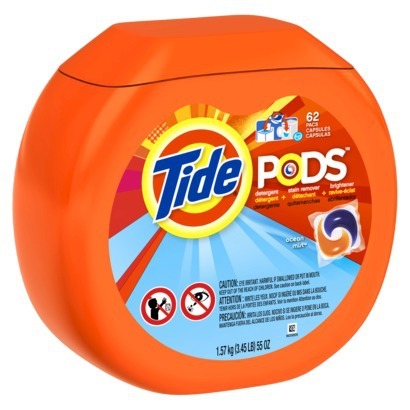 Designed to revolutionize the laundry process by providing a highly concentrated detergent blend in a convenient, dissolvable package, the laundry pods were an instant hit — until children, believing the pods were candy, began to eat them. This situation left Proctor & Gamble in a bit of a lurch. They were selling an enormously effective, brilliantly designed, revolutionary product that took a lot of time, effort and resources to develop, but was also highly toxic. Naturally, they immediately began to scramble for a packaging redesign. The new packaging uses an opaque design, as opposed to the container’s previously transparent aesthetic, which looked strikingly similar to a candy bowl. As the old packaging is phased out, the marketing campaign will likely see changes as well. Adjusting a marketing campaign on the fly is a uniquely difficult task. As there is no one unifying reason that stimulates all marketing adjustments, there is no step-by-step guide to do this. However, the four principles below can be used as general guidelines to help retool a campaign. Three main factors typically call for a strategic redesign: demographics, social trends and consumer preferences. Demographic shifts often require campaign shifts, particularly in terms of marketing to specific socioeconomic groups. Social trends can also dramatically affect a campaign. To understand the impact that social trends can have in advertising, one need only look at the sudden swelling of support for the recent Cheerios commercial depicting an interracial marriage and the public sentiment that it has inspired. Perhaps most important, though, are consumer preferences. In the Tide example, consumers suddenly expressed a perfectly reasonable preference for their detergent to not harm their children. As such, Proctor & Gamble, Tide’s parent company, was forced to immediately adjust the way in which they pitched their product to the public. If you have to adjust a campaign on the fly, it’s safe to assume that there is a substantial reason for it and that you aren’t simply deciding to pour money into a costly redesign out of boredom. Given this reality, the golden rule to adjusting a campaign is, before everything else, follow the feedback. If you must adjust your campaign, it means that something probably went wrong with your first try. Typically, this can be identified at a base level by analyzing consumer feedback, an analytical measurement that can encapsulate demographics, preferences and social trends. In the case of Tide, there was a massive outcry over the way in which their product was packaged and sold, as it led to a large number of panicked parents calling Poison Control. The massive public outrage that resulted from this was swift consumer feedback. In formulating a response, Tide simply had to adjust their product and its packaging in a way that would neutralize the rampant complaints. As previously noted, this solution appears to come in the form of opaque packaging. Notably, it doesn’t appear as though everything is being overhauled, although more minor tweaks are likely. When all is said and done, it isn’t cheap to draw up and launch an ad campaign or a product. If you were forced to redesign either or both of these things, it obviously would not be optimal to continue to run up costs. While some occasions do call for an agency to completely scrap its old campaign and start fresh, it’s often more effective to simply modify or redesign an existing campaign to reflect the new direction. For Tide, this is represented by the shift from transparent to opaque packaging. The final aspect of redesigning a campaign is continuous evaluation. While undergoing adjustment, it can be hugely beneficial to monitor the effectiveness of the campaign in order to ensure that the revisions aren’t simply worsening the overall appeal of the brand that you’re pitching. The art of campaign redesign is infuriatingly imprecise and random in its nature. However, by adhering to several key principles, it’s possible to quickly alter a campaign and maintain or increase its efficacy. Vine & Instagram: So Happy Together? Error - Error validating access token: Session has expired on Tuesday, 06-Feb-18 09:00:00 PST. The current time is Thursday, 25-Apr-19 12:40:53 PDT.